About three days ago, I woke up with an itch in my throat and headache. I knew I was going to get sick and in no time, I was sneezing and my body felt sluggish overall. I tried gargling with wild oregano oil to no avail. Then I tried rinsing my sinuses with a saline solution, still no result. Finally, I searched the internets for other solutions and landed on earthclinic.com which provided me with more solutions that I ever thought of. For a sore throat, 2 tbs of apple cider vinegar with 8 oz of water seems to be the popular remedy and for sinus congestion, a tomato tea with hot sauce and lemon is also popular. And since my ailments were related I added the ACV to the tomato tea last night and I woke up this morning with less congestion and I easily discharged mucus from my throat. Infection gone yet? No. Instead of the simple saline solution for my nasal rinse, I added a pinch of baking soda and a 1/4 tsp of hydrogen peroxide and used distilled (not brita filtered water!) water. As I rinsed a dollop of green mucus dropped into the sink and now I can breathe again. I feel no sinus pressure and my mucus is pretty clear. The real test is to keep up with this regiment over the next week to see how or if my ailments subside. Before trying these remedies, I considered going to a doctor...but only for a minute. I don't want to be prescribed with a chemical nasal spray that'll open up my sinuses but ignore the infection. And antibiotics don't treat the actual location of the infection as much as these remedies do. The health care industry is making billions by keeping the population and their paying patients sick. We can either fight back by waiting for health care reform, OR we can simply heal ourselves with remedies that use common household ingredients and cost a fraction of pharmaceutical drugs. Yes, we need to fix the broken health care system. Yes, we need a single payer solution to combat the profit motive. But we can't wait for the industry to rid themselves of greed and inefficiency. They still have to pay nurses their $80k salaries, big pharm needs its cut and someone needs to pay for the overhead cost of maintaining medical buildings. It's time for us to take health into our own hands. "The cure for cancer has been discovered." 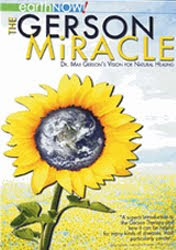 The Gerson Miracle documents the amazing work of Dr. Max Gerson whose Gerson method has successfully treated all types of cancers since 1928. Sharing the stories of nine longtime cancer survivors, this film explores the principles and effectiveness of Gerson Therapy, a holistic method of treating cancer and other degenerative diseases. Gerson's daughter, Charlotte -- founder of the Gerson Institute -- also discusses her fight to keep the controversial therapy going despite objections from those who question its effectiveness. Gerson targets nutritional deficiency and environmental toxins such as chlorine, fluoride and pesticides - all of which are currently added to the US supply of water and food -as major factors causing cancer. Not surprisingly, the US is one of the only countries in which the practice has been banned. Dr. Gerson died of arsenic poisoning immediately after writing a book on his method. Check out this documentary in its entirety on YouTube and pass it on. African-American history is American history. European-American history is American history. Asian-American history is American history. Latino-American history is American history. Indigenous/Native American history is American History. Our collective history is part of the biological, social, political and karmic fabric of the entire planet. This is especially true in the United States where the legacies (and repercussions) of the Native American genocide, British Colonial rule, 300+ years of chattel slavery, the Industrial Revolution, Women's Suffrage, the Mexican War, Japanese Internment and Imperialism are shared by everyone. 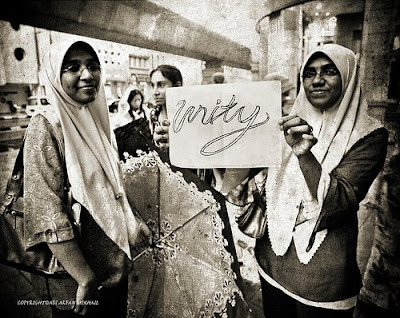 We are one people with one collective story - a story best understood as a whole when seen from its many different perspectives. The Underground Universe is celebrating Your History Month this February. We believe that the human experience is intrinsically linked -without regard to phenotype or genotype. We believe historical and cultural awareness is an integral part of the effort to affect sustainable social, environmental and political wellness.